Forget being transgender like Caitlyn Jenner or transracial like Rachel Dolezal, there’s a new “trans” frontier: people who are transage. In an interview with the gay news site The Daily Xtra, Stefonknee (formerly Paul) Wolscht details his struggles with being a male-to-female transgender person. The Daily Xtra video, however, glosses over a tiny bit of important information about Wolscht: he thinks he is actually a six year-old girl—not just a woman, but a six year-old girl—stuck in the body of a 50-something man. At age 46, Wolscht deserted his wife and his seven children to live his “true” life. Wolscht is not speaking in an abstract sense. He actually wants to be a child. “We have a great time. We color, we do kids stuff. It’s called play therapy. No medication, no suicide thoughts. And I just get to play,” Wolscht says. For some people, however, playtime eventually ends. 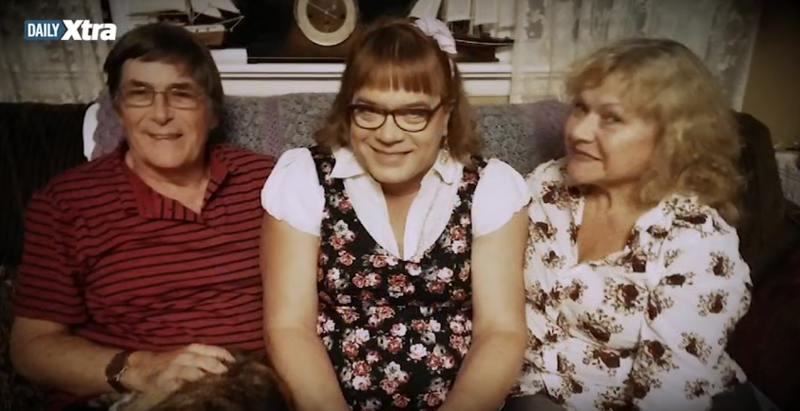 Wolscht was featured in a full-length documentary by the Transgender Project.